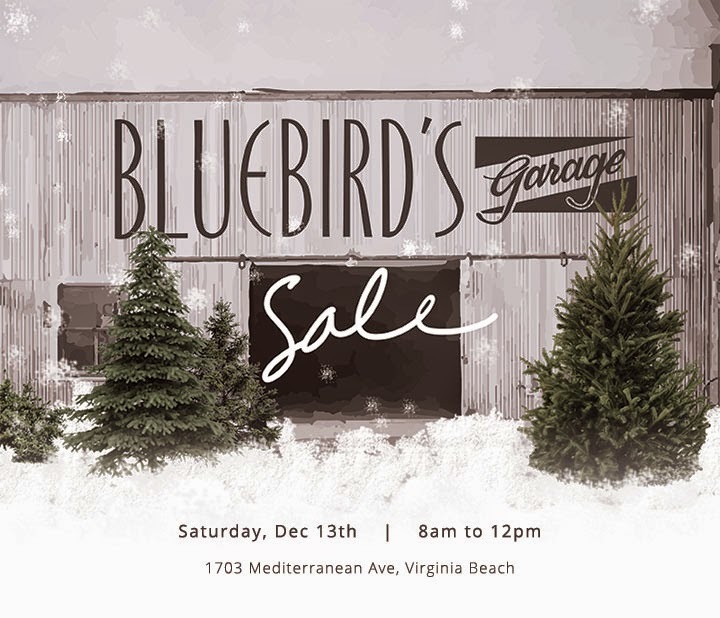 My friend Mary is having a big sale at her rental shop, Bluebird's Garage. She's digging into her collection and selling some of her vintage rentals to make room for new stuff. She'll also have some of her retail pieces on sale. Three Ships Coffee will be there too, serving their finest brew to keep you warm. I'll be selling my vintage collection as well. All sorts of vintage goods including rustic and industrial housewares, home decor, accessories and some furniture items. No, this isn't a 6 petals comeback (right?) but just a way to find a new home for the remaining "inventory." There are so many cool pieces for such great deals. Let's call this a little 6 petals liquidation sale. So come shop small this Saturday, December 13th from 8am to noon!